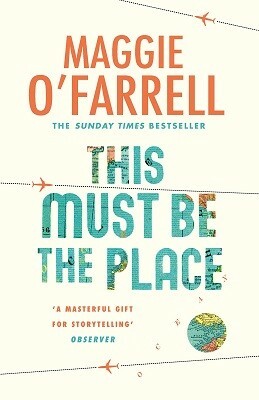 Maggie O’Farrell is not one to sit on her laurels nor is she one of those authors who stick to tried and tested formulas because they worked in the past. Open a new Maggie O’Farrell and you will only be assured of one thing, this lady can write beautifully and engagingly but she’s full of surprises. It’s about love and finding home with another person and maybe it’s right in front of you and you can’t see it. I don’t even know if this novel has any connection with David Byrne’s lyrics but Maggie O’Farrell’s prose just reaches inside my chest and reproduces the same heartrending effect. Daniel O’Sullivan is an expert linguist, working with language every day, but he just can’t find the right words to communicate his feelings to those he loves. The author takes us on a journey across oceans and through the experiences of many different characters before Daniel reaches any kind of conclusion…if he ever does! If you don’t have the energy or inclination to focus on multiple characters and time frames then this might not be for you. The narrative requires quite a bit of focus and concentration but if you get on board you’ll have the ride of your life! 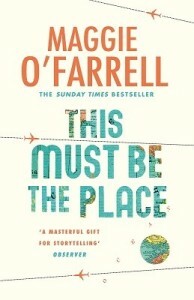 A few years ago, I introduced my book group members to Maggie O’Farrell’s writing. Suffice to say, they’re chomping at the bit to get their teeth into this one. Highly recommended. This entry was posted on Sunday, May 22nd, 2016 at 8:33 am	and is filed under Proofs. You can follow any responses to this entry through the RSS 2.0 feed. You can leave a response, or trackback from your own site.